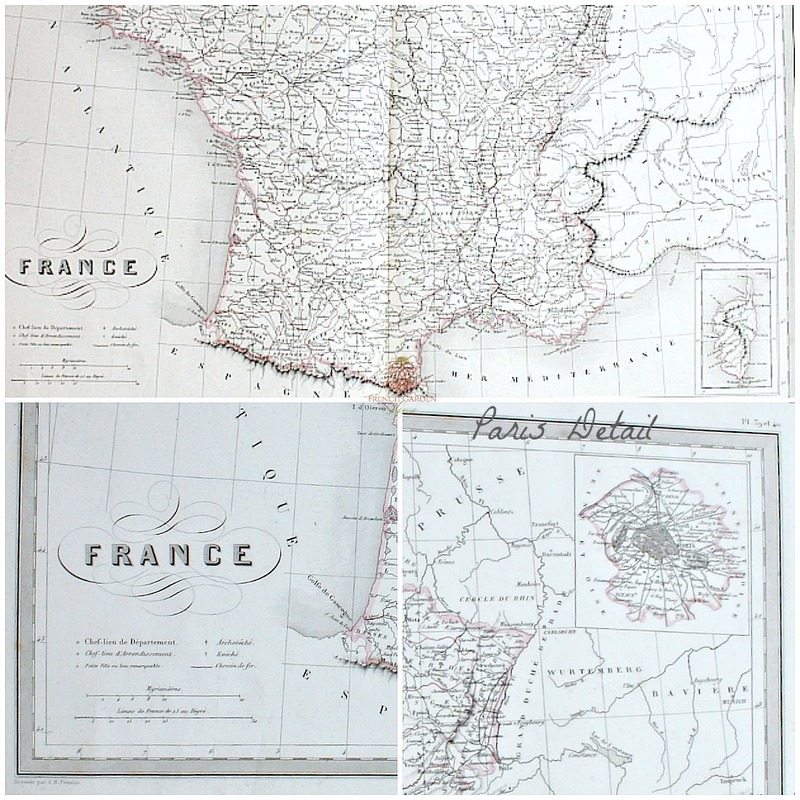 Antique Map of France, engraved by plate and hand colored with water color by an artist. 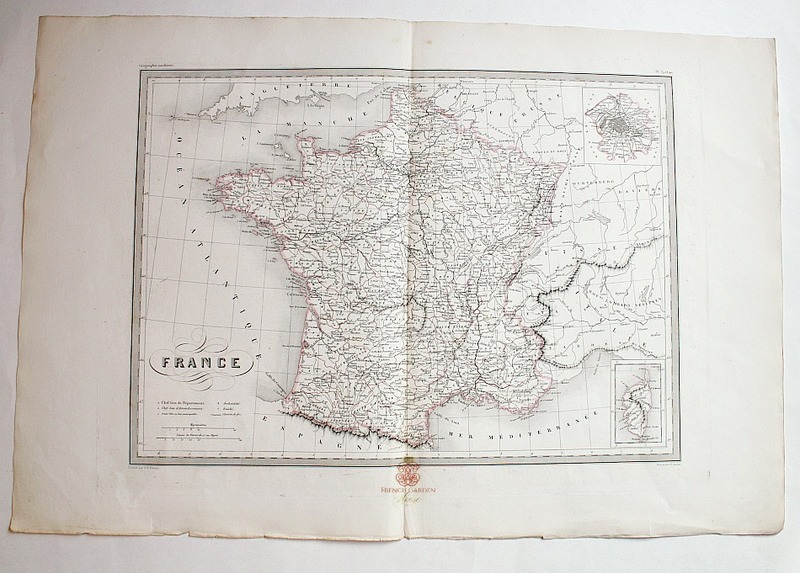 This antique map was drawn by A. R. Fremin, a French geographer active in the early to mid 19th century. 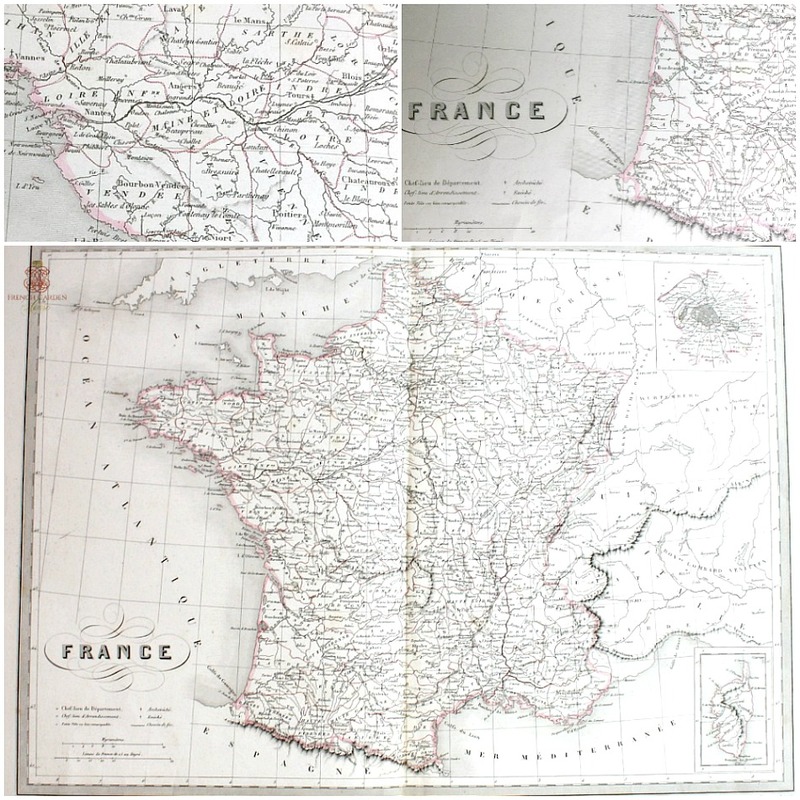 A student of the well known cartographer Jean-Baptiste Poirson, Fremin drew maps for many prominent French cartographic publishers of the period, Monin, Duvotenay, Dyonnet and Dufour. Cream paper, blank on the reverse. Collectable, and very decorative, will look stunning in your French country rooms, a gentleman's office, library, or anywhere you want a touch of French charm. In good antique condition, this is the large folio size, there is a fold in the center as shown. 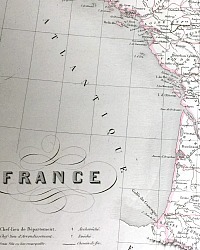 Detail of Paris and Corsica. Due to the hand coloring, each of these was an original work of art. To be expected in prints of this age, there may be a few characteristic areas of foxing, there are some small edge abrasions as shown, this print is in good antique condition. Perfect to frame, measure 24" x 16".